a year in the UK’s largest organisations. Long-term absences through sickness or the inability to attend work regularly and consistently because of ill-health are often the most difficult problems for employers to deal with. George Osborne, MP for Tatton, focusing his attention on Knutsford Businesses in King Street. Over the past 12-18 months many businesses in Knutsford have had to suffer power loss often for several hours at a time and often at peak service times which have resulted in thousands of pounds in lost trading. I am sure that other businesses have suffered similarly at a very difficult time particularly during the present climate. The Forum of Private Business (FPB) is helping small businesses cut adrift by the providers of credit card merchant services or struggling with the cost of processing card payments. The FPB has joined forces with Accept Cards Ltd (ACL) in order to reduce the expense of taking card payments and the hassle of seeking out alternative providers. Many business owners are paying steep rates because they do not have the time or resources to shop around for a better deal. Some are not aware they can use the credit card merchant services provided by lenders other than their existing banks. Additional Businesses show their support for Knutsford Business Club Free 2 Hour Parking Initiative provided Customers make purchases of at least £10.00 from their businesses. To accommodate businesses who found that this margin was insufficient on their product margins to be able to participate in the scheme, suggestions have been made to raise the amount to £20.00 spent in participating companies. Some suggested that their could be different levels of spend for purchases made from participating businesses to suit their business model. 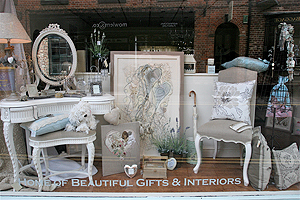 Hidden Jem, the home of beautiful gifts and interiors, hopes to open its doors on Saturday 27th June, in Knutsford's King Street. 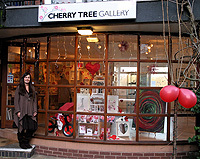 Owner, Julie Moores, currently has shops in Lytham and Ramsbottom and has chosen Knutsford to open her third shop. Meller Braggins, the letting agents, let the premises almost immediately it became available, illustrating that there is demand for quality retail premises on King Street. Hidden Jem joins a list of upmarket gift and interior retailers, including Summerhouse, Chalk, Christine Ireland Gallery, Interiors, House and the Cherry Tree Gallery in Knutsford.